A wallet for cryptocurrencies is more like a Bank Account where your coins or tokens are stored. It allows you to receive from people, save them, and also send to others as payment or when you are trying to exchange for local currencies. There are four (4) main types of cryptocurrency wallets namely: Software Wallet, Web Wallet also known as Hosted Wallet, Hardware Wallet, and lastly the Paper Wallet. Software Wallets requires download of software clients to create and make use of cryptocurrency wallets. Then can be installed on your private computer systems (desktop/laptop), can also be installed on mobile devices. PC software clients such as Bitcoin Core will require you to download the Blockchain, which is pretty significant in size, over 100GB in size. This may be discouraging for people with limited bandwidth or those with little storage space on their PC. On the other hand, Software Wallet client such as MultiBit will allow you create and make use of a Bitcoin Wallet without downloading Blockchain information. Armory is another alternative for a Software Wallet, but this might be a bit technical to set up. These wallets give you the advantage of being in full/total control over the security of your coins. For mobile devices, these wallets can be much easier to setup and operate. Sites like MyCelium, Electrum, and Copay offer great wallet clients for Android and iOS devices with complete backup features. Copay isn’t just available on mobile devices alone, can also be installed on PC. Note that these wallets are only as secured as the devices you install them on. It’s hard, but not impossible for wallet information to get stolen with the use of malware. The Web/Hosted Wallet though is one that is hosted by a third party individual or organization and accessible via the internet. These Wallets are much easier to use, but the only problem is that you have to trust your provider to maintain a high level of security to protect your coins. Creating an Online Wallet for your Cryptocurrencies are as easy as signing up for a new email account with service providers such as Blockchain and Coinbase. Also, you can access your wallet from any internet connected devices, so accessing your cryptocurrencies couldn’t be any easier. Hardware Wallets, on the other hand, are offline wallets, USB shaped, that has to be plugged into a computer device to make transactions. These wallets are secured from computer malware as private keys are generated on the device itself, offline. They are also easy to use, and little or no technical knowledge is required to use them. They have the features to securing them with passwords to combat theft. Investing in Hardware Wallets such as TREZOR or Ledger Wallet gives you a great deal of peace of mind. Lastly, Paper Wallets are what they call them, papers. Paper wallets are somewhat more secured to using Software and Hosted wallets because you physically have your addresses printed on papers. You are entirely free to print out a wallet address for yourself using BitAddress or WalletGenerator. Though more secure, it can be torn, soaked, and damaged in many ways because it’s paper. It is therefore essential that you make so many physical copies to be stored in a safe place. There are a whole lot of cryptocurrencies out there, over a thousand of them with Bitcoin is the most popular and others referred to as alternative cryptocurrencies. Though some wallets have been mentioned above but below are a list of cryptocurrency wallets in their categories and what cryptocurrency they support. The Exodus Wallet is also a software wallet available for the personal computers currently. Exodus currently supports Aragon, Augur, BAT, Bitcoin, Bitcoin Cash, Civic, Dash, Decred, District0x, EOS, Ethereum, ETH Classic, FunFair, Gnosis, Golem, Litecoin, OmiseGo, and SALT. It has the ShapeShift utility built into it that makes it easy to convert or purchase a cryptocurrency with another without having to leave the wallet interface. The Ledger Nano S Cryptocurrency Wallet is a hardware wallet that supports multiple cryptocurrencies. It aims to eliminate attacks by implementing a second security layer that helps users physically approve their transactions by the push of buttons on the device before transactions are executed. 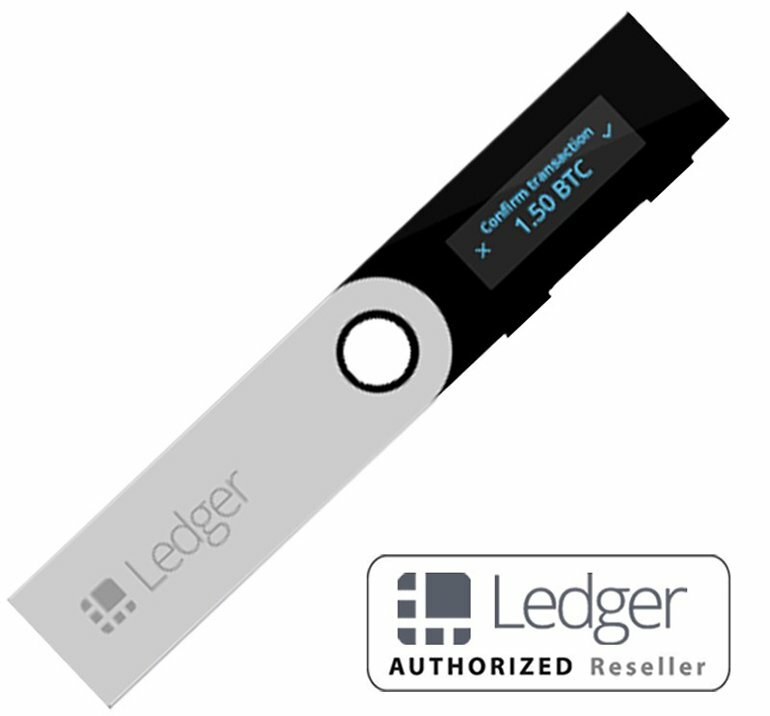 The Ledger device currently supports the following coins; Ark, Bitcoin, Bitcoin Gold, Bcash, Dash, Digibyte, Dogecoin, Ethereum, Ethereum Classic, Expanse, Hcash, Komodo, Litecoin, NEO, PIVX, PoSW, Qtum, Ripple, Starts, Stealthcoin, Stellar, Stratis, Ubiq, Vertcoin, Viacoin, and Zcash. The Trezor cryptocurrency wallet is similar to the Ledger device. It’s a hardware wallet as well and is designed to work with all operating systems. 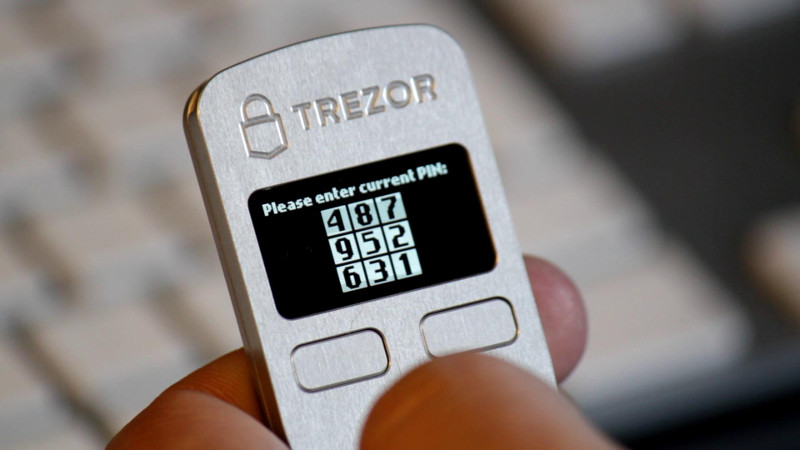 The Trezor cryptocurrency wallet also supports Bitcoin, Litecoin, DASH, Zcash, Bitcoin Cash, Ethereum, Ethereum Classic, Expanse, UBIQ, NEM and other ERC-20 tokens. The Jaxx Wallet is one of the best cryptocurrencies wallets that supports multi-currencies. It’s developed and maintained by Decentral, a well-known company that offers digital currency services. Jaxx presently supports Ether, Ether Classic, Dash, DAO, Litecoin, REP, and Bitcoin cryptocurrencies. The wallet is available for download for mobile and desktop users. You can download Jaxx for Android, iPhone, Tablet, iPad, Windows, Mac, Linux and Google Chrome browser extension. The Agama Wallet is still in development phase but offers unique features that allow users use multiple cryptocurrencies and choosing what security is best for them. Agama supports Bitcoin, Bitcoin Dark, BitMark, Carboncoin, DigiByte, Dogecoin, Franko, Game credits, Komodo, Litecoin, Unocoin, Zcash, and Zetacoin. 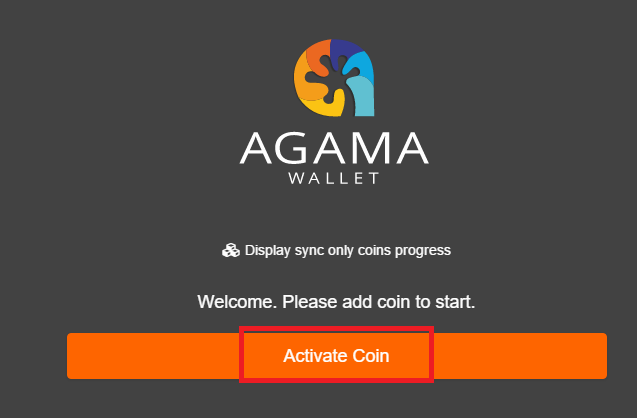 The Agama wallet is available for desktop only currently. The Coinomi Wallet is a mobile multi-currency cryptocurrency wallet for the Android OS (IOS version coming soon). It supports a wide range of cryptocurrency assets. Coinomi supports Bitcoin, Abncoin, Asiacoin, Auroracoin, Bata, Belacoin, Bitcoin Plus, Blackcoin, Britcoin, Canada eCoin, Cannacoin, Clams, ClubCoin, Compcoin, Dash, Defcoin, Denarius, Digibyte, Digitalcoin, Dogecoin, E-coin, EDRcoin, EGulden, Einsteinium, Ethereum, Ethereum Classic, Expanse, Feathercoin, Flashcoin, Game Credits, GCRcoin, Gridcoin, Gulden, Hempcoin, Insane, Internet of People, IXCoin, Landcoin, LBRY Credits, Linx, Litecoin, Monacoin, Myriadcoin, Namecoin, Navcoin, Neoscion, Neuro, Novacoin, NuBits, NuShares, OKCash, ParkByte, Peercoin, Pesobit, Pinkcoin, PIVX, POSW, Potcoin, Putincoin, Reddcoin, Richcoin, Rubycoin, Shadowcash, Smileycoin, Solarcoin, Stratis, Syscoin, Ultimate Secure Cash, Unobtainium, Verge, Vertcoin, Vpncoin, Zcash, and ZCoin cryptocurrencies. It is crucial to research what wallet is best for what cryptocurrency before you start acquiring them and we hope this guide has set you on the right path.